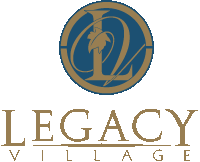 The race begins at Legacy Village 25001 Cedar Road, winds through a well-shaded route in Lyndhurst and South Euclid, and finishes at Legacy Village. The 10-miler begins at 7:30 am; the 5K at 7:40 am. The course will be open for 2.5 hours. Portion of the proceeds goes to the Brush High School athletics. 10-miler - Top 3 overall males and females and top 3 in the following age groups: 14 & under, 15-19, 20-24, 25-29, 30-34, 35-39, 40-44, 45-49, 50-54, 55-59, 60-64, 65 & over. 5k - Top 3 overall males and females and top 3 in in the following age groups: 14 & under, 15-19, 20-29, 30-39, 40-49, 50-59, 60 and over.